You give everything you can to your kids. You’ve sacrificed your body, you’ve lost sleep, and you worry about things you never even thought of before having children. Are they eating enough? Getting enough rest? Do they feel loved? Moms spend their days and nights devoted to their families. It’s easy to forget about yourself when you’re elbow deep in diapers, but you need to remember to be good to yourself. Pregnancy is a beautiful gift, but it takes a heavy toll on your body. If you struggle with loose abdominal skin, sagging breasts, or unwanted fat, please contact our board-certified plastic surgeon in Overland Park today at 913-341-2188 to see if a mommy makeover can give you your body back. Advanced Cosmetic Surgery serves the Kansas City area including Overland Park, Kansas. A mommy makeover is not a description of a specific procedure. It’s a combination of cosmetic procedures designed to fit your goals for your body. Most mommy makeovers involve a tummy tuck (abdominoplasty) and a form of breast surgery. Dr. Young’s tummy tuck technique incorporates extensive liposuction to create a flattering body contour. A mommy makeover is a great way to restore your body and build confidence. It’s your turn to take care of you. Many women need breast augmentation with implants or a breast lift combined with breast implants. We offer saline, silicone, and gummy bear implants as well as fat transfer. Dr. Young typically recommends the gummy bear or silicone breast implants because they provide a more natural look and feel. Your body went through several changes in a short time span. Your breasts swell with pregnancy and breastfeeding but lose volume afterward. The muscles in your stomach stretched and weakened your abdominal wall. These side effects of giving birth will lessen over time, but you will likely be left with loose skin along your abdomen and sagging breast tissue. Dr. Young will do a thorough exam to determine which procedures will give you the best results. Every woman has unique curves, and certain aspects of your body may change more than others after childbirth. Your mommy makeover will be customized using your natural anatomy and aesthetic goals to provide optimal results. Dr. Young has your entire body in mind when he develops the plan for your plastic surgery. His artistic eye offers a creative vision for restoring your pre-baby body. A tummy tuck will likely be the main portion of your mommy makeover. An abdominoplasty focuses on removing excess skin tissue and can even get rid of stretch marks on the lower abdomen. Your abdominal muscles will be repositioned and tightened to create a flatter stomach. Breast augmentation or a breast lift is done simultaneously, which involves the placement of saline or silicone implants and/or the repositioning of your breast tissue. First, small incisions are made on your stomach and lower back. Fat deposits are removed from the hips and flank area via liposuction to create an hourglass figure. Then, the muscles in your abdomen are pulled down toward the center of your back to flatten your abdominal wall, which acts as an internal corset. The third stage of the tummy tuck is removing the excess skin using an incision around your belly button. Dr. Young pulls the incision down into the curve of your belly button so the scar can be hidden well. How much time do I need for recovery? The amount of downtime you need depends on how many procedures you have done. The average tummy tuck recovery requires two weeks off of work and six weeks of mobility restrictions. You’ll have drains to help the healing process that prevent certain movements as well. Can I still care for my children? You will need help at home, especially if your children still require constant care and picking up. You won’t be able to lift your kids for several weeks (up to six weeks) after your mommy makeover. How much help will I need and for how long? We suggest having help from one or more family members and friends for several weeks, especially the first week. It’s your turn to take care of yourself, and how well you handle the healing process will directly impact your results. It’s best to have plenty of help at home and time away from work to give your body the opportunity to heal. What can I do to prepare for plastic surgery? Young will discuss how you can prepare for a mommy makeover during your consultation. You may need to discontinue certain medications. One way you can get ready for recovery is to cook and freeze some of your favorite meals, so you don’t have to worry about cooking while you recover. It’s been at least 9-12 months since you gave birth. 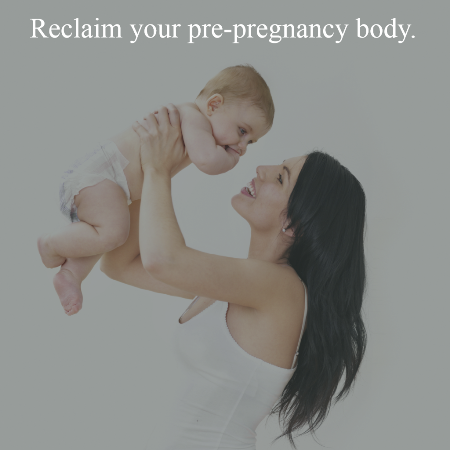 Your body needs time to heal after childbirth naturally. Ideally, your children should be older and somewhat capable of caring for themselves. You’ve stopped breastfeeding for 3-6 months or longer. Your breasts require time to contract and return to their normal state before breast augmentation. You have sufficient help at home so you can heal correctly. You have realistic expectations for what we can accomplish with a mommy makeover. You’re in good health without medical issues such as heart disease or diabetes that may hinder your procedure and recovery. You’ll need two weeks away from work and help at home if you have small children. Lots of fluids and good nutrition are an essential part of healing from any procedure, so make sure you have easy-to-make meals or make and freeze them prior to your mommy makeover, so you simply have to heat them up. You’ll likely have drains to care for during recovery and perhaps compression garments. Be prepared for bed rest, avoid strenuous exercises and no heavy lifting (typically anything weighing more than 5-10 pounds is too heavy) for six weeks. Over-the-counter pain medications can help with any discomfort you have while you recover, and our plastic surgeon may prescribe additional medications to help your pain. Dr. Young will make sure you’re healing properly during several follow-up appointments at Advanced Cosmetic Surgery. We have our mommy makeover patients come back one week, two weeks, six weeks, six months, and a full year after surgery. The plastic surgeon you choose to perform your mommy makeover will directly impact your final outcome. You want a surgeon you feel comfortable with and who has the skill, experience, and artistic eye needed to deliver a stunning figure through abdominoplasty and breast surgery. Take a look at the before-and-after photos of the plastic surgeons in your area to get an idea of what your body will look like after cosmetic surgery. Pay close attention to the before photos that are similar to your build and body type. Dr. Young is a board-certified plastic surgeon who believes cosmetic surgery should be customized for each patient. The combination of procedures that works for one woman may not offer the best body contour for the next. His surgical method differs from the average plastic surgeon as he incorporates whatever procedure or technique will work best for your body type. He spends ample time with you during your initial consultation so he knows exactly what you’re looking for in a mommy makeover. Your comfort, safety, and aesthetic goals are essential parts of the cosmetic surgery process, and our plastic surgeon makes sure all your questions and concerns are addressed right away. Moms give their lives and bodies to their children and often forget about themselves. It’s your turn to take care of you. Schedule your free mommy makeover consultation with Dr. Young in Overland Park today at 913-341-2188. Advanced Cosmetic Surgery serves patients in the Kansas City, Kansas area.